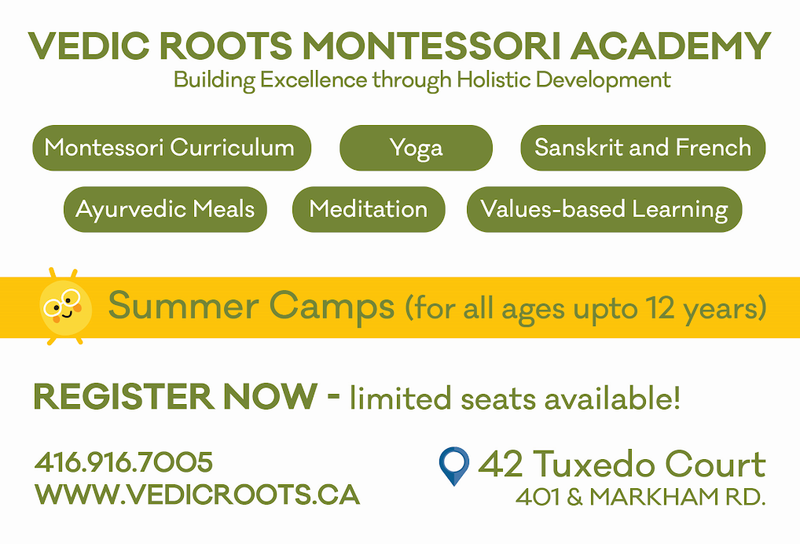 Vedic Roots Montessori Academy - Summer Camp Enrolment Begins! ~ The Toronto Hare Krishna Temple! 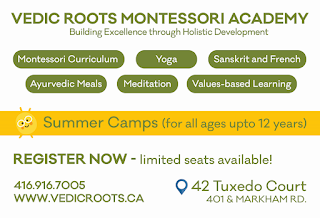 Vedic Roots Montessori Academy - Summer Camp Enrolment Begins! Born in 2015, Vedic Roots Montessori Academy (VRMA) has grown into a fully-licensed preschool that integrates the world-recognized Montessori Curriculum with the timeless wisdom of Vedic Culture. In 2018, VRMA has moved into its first fully licensed location in Scarborough, with a capacity to serve 32 children (ages 18m - 6 years). Enrollment is steadily increasing! VRMA aspires to eventually open multiple locations across the GTA, as well as explore expanding into grade school. This summer, VRMA is hosting an exciting 7 weeks of SUMMER CAMPS: Jul 3 - Aug 17! Early-bird, Sibling and Bulk discounts available! REGISTER TODAY - limited spots left!